Get a great deal online, buy the parts from us, we dont mind, our job is to keep you rolling! We love all bikes! MTB, Road, BMX just get in touch and we will do the rest! Our mechanics are fully qualified and certified so you can have the confidence your bike is in safe hands! Your bike is ready and so are the trails! Looking to get your bike serviced, repaired or upgrading some components? Look no further! Our service/repair centre is a one stop shop for all your bike repairs. Our mechanics have years of experience and are fully certified so you know your bike is in good hands. ​We offer the full range of work from a quick tune up to a full overhaul and service. We work on all types of bikes from Road to Mountain be they full suspension or hardtails. 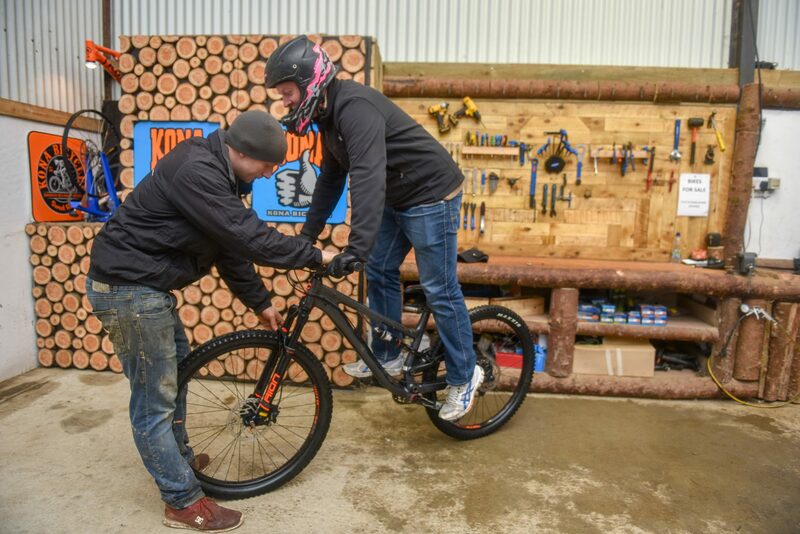 Of course if you’re already visiting the bike park and you run into a problem, we will always endeavour to get you back on track asap if at all possible. Got a killer deal on new parts, planning a trip but no time for repairs? No problem, We love a bargain too! Bike Park Ireland is an approved Buy Online Fit Local service centre and is always here for you. Our priority is to get you back on your bike be that on the road or on the mountain! Get in touch, book in your bike and we will have you rolling in no time! How do I book in my repair or discuss what I need? Mechanical support onsite Wednesday through to Sunday. We carry stock of the main consumable components and associated accessories however booking is still essential to avoid disappointment. Our promise is to give you a service that meets your needs through great customer experience and the highest standard of work.